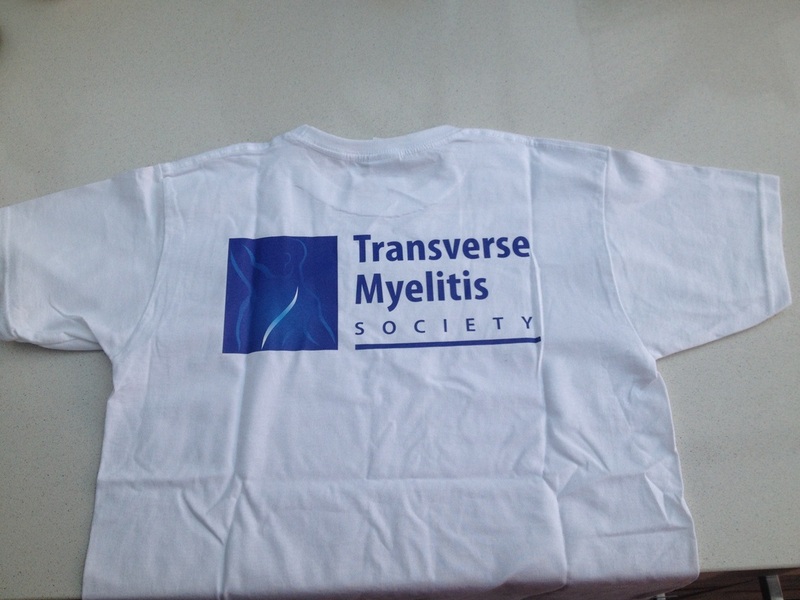 To celebrate the TM Society’s 10th Anniversary, we have launched a new range of awareness and fundraising resources. 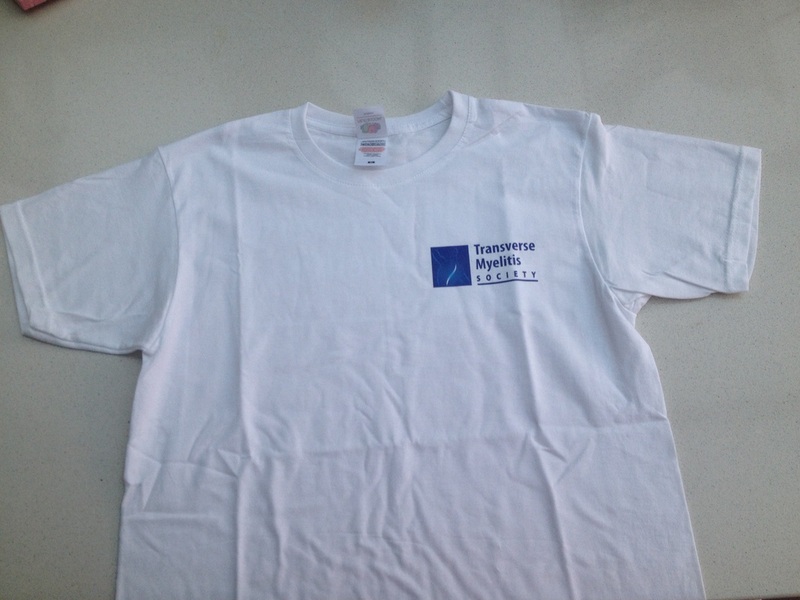 If you need any of the above items to promote and advertise your event, order them here. * The A4 PDFs can be adjusted and used to create prints of difference sizes, including A3. This can be done by taking the A4 PDF file to a printer, or adjusting the printing parameters or running the PDF through free software to adjust the proportions of the image. If you order promotional materials for your activity or event (posters, balloons, stickers, leaflets and magazines), please think through carefully how many people you expect to attend and where you will be able to put up posters or balloons. Stock is limited and we want to ensure you get what you need and can use all of it. As the magazines cost us £1.53 to produce, please ask people for a £2 donation or hand deliver them to medical and health professionals you know. 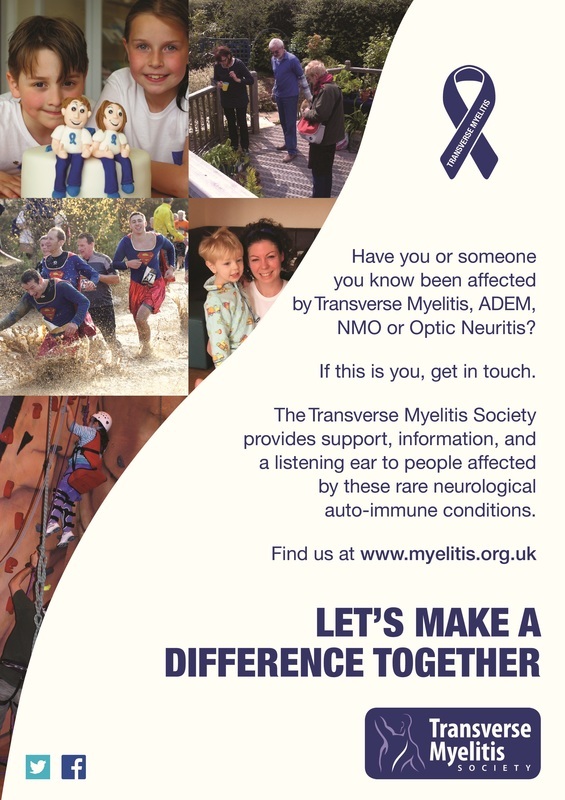 If you do the latter, use the Distribution Record to record who you gave them to and pass that on to us at info@myelitis.org.uk when you have finished. 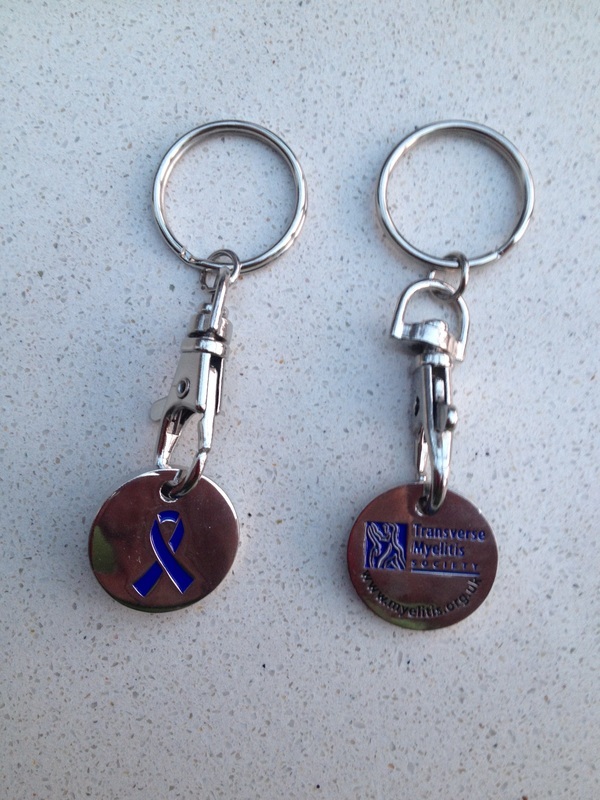 If you are seeking to purchase the blue awareness ribbon pins, trolley coin key rings, wrist bands, and t-shirts, we have plenty of those at present. Please send an email stating what you would like to purchase. Don't forget! 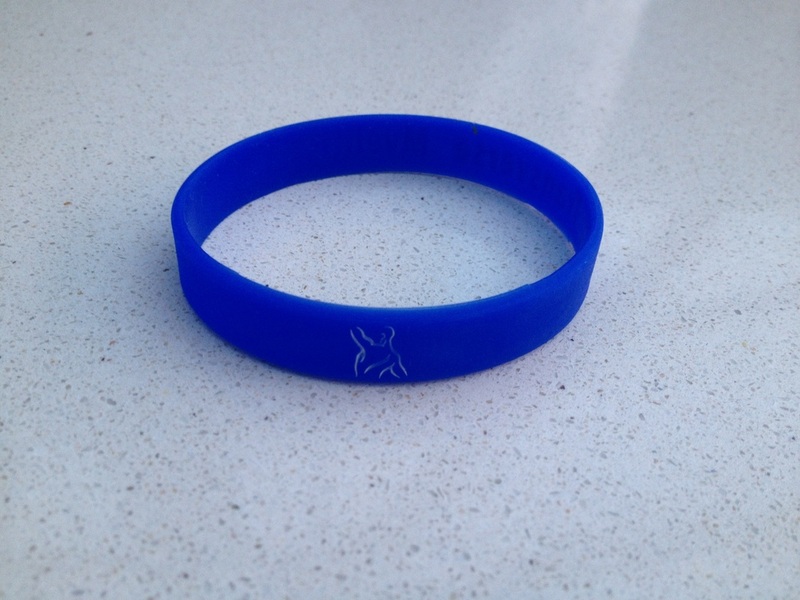 To get your Awareness Day promotional pack you first of all need to register your activity or event. Use the same name here as you have used on the Event Registration. If you are holding a public event, approximately how many visitors do you expect to have through the doors on the day? Enter the number you require against each item. Please enter the number of balloons you would like. The balloons will be a mixture of white and blue balloons. An image of this is shown in the right column. See image of this in the column to the right. Please enter the number of leaflets you would like to have. Please enter the number of printed magazines that you would like to have. Please enter the number of A4 size posters that you would like. These will have a place for you to write in the event name, date, time and place but if you use a marker, be careful to allow time for the ink to dry or it will smudge. 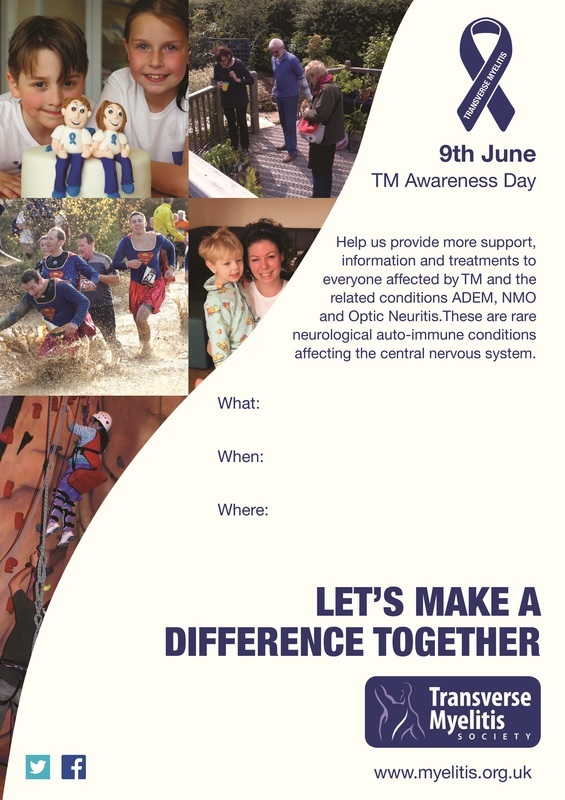 These posters state the TM Awareness Day and give general awareness information.. Please enter the number of A3 sized posters you want. These will have a place for you to fill in the event name, date, time and place but if you use a marker, be careful to allow time for the ink to dry or it will smudge. Please note that all items are offered subject to availability since stock is limited. 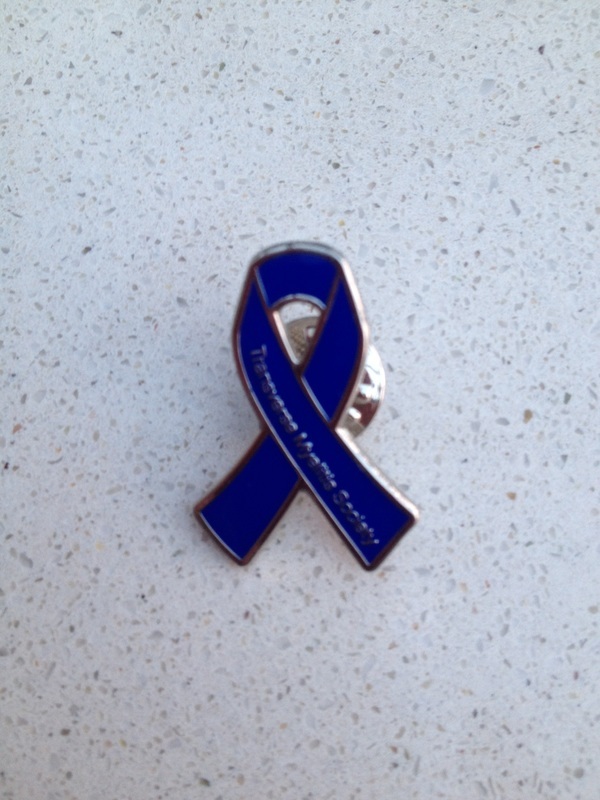 If you have a question about Awareness Day, you can email Lynn Powell who is the Awareness Day 2015 Volunteer Project Coordinator. 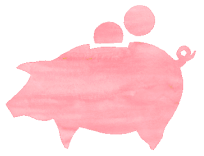 Or check out our ﻿Frequently Asked Questions ﻿page.